The ceramic material found at the pile dwelling is fragmented. Most of the time I am working with and trying to understand small fragments that weigh around 5-10g. 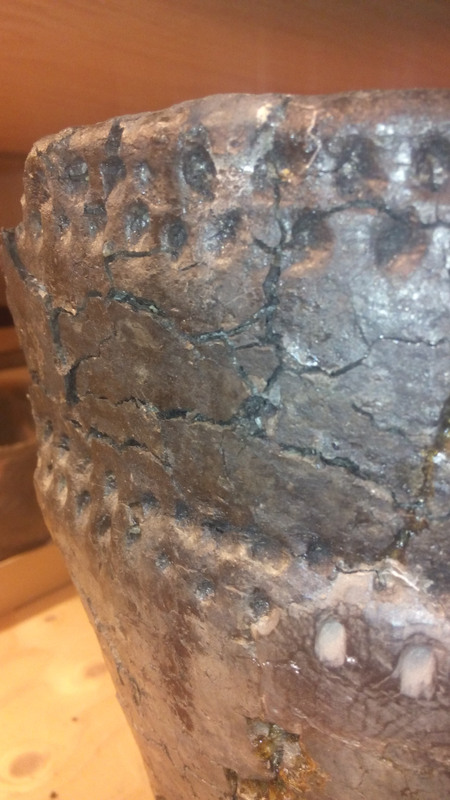 It is common to work with smaller sherds when studying the Pitted Ware pottery due to the fact that the vessels were intentionally broken during the Neolithic. However, the material from the pile dwelling is by comparison especially fragile and brittle. In all probability the particular brittleness of the pile dwelling pottery has to do with tafonomy. 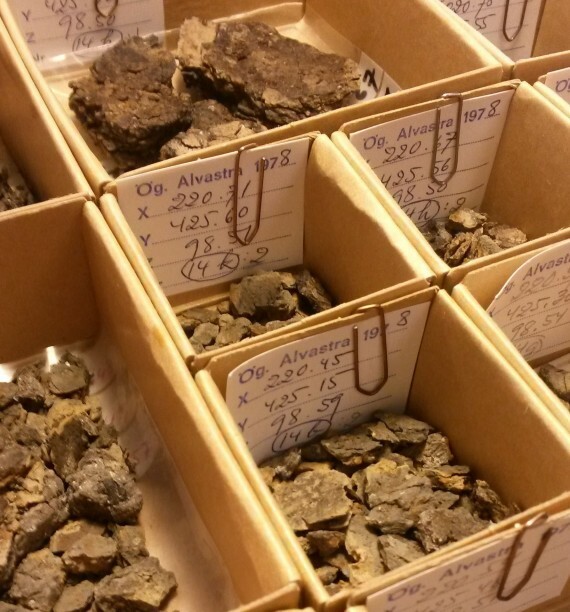 An overview of a few ceramic sherds from Alvastra pile dwelling prior to registration. Therefore, I would like to present a reconstructed vessel from the pile dwelling that is currently resting in our storage rooms. 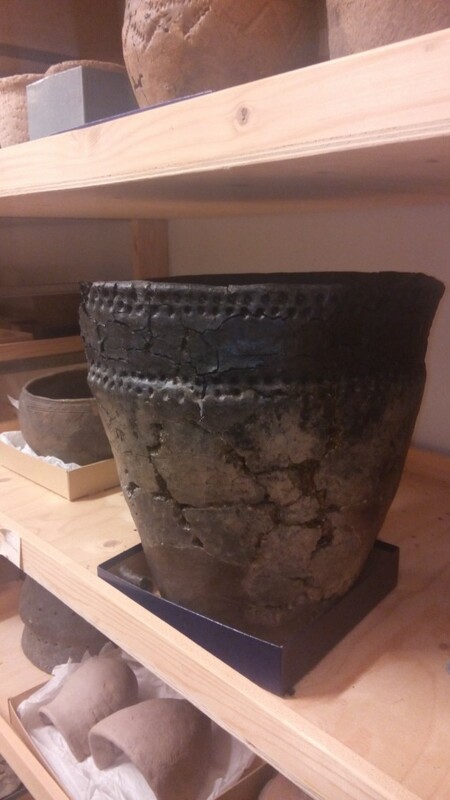 The artefact gives you a good idea of how the whole vessels looked like. The vessel is made in a ware that we currently define as the pile dwelling pottery and it is decorated with decoration element V4, i.e. irregular round imprints (see Browall 2011). By reconstructed vessel I mean that a modern day potter has taken actual ceramic sherds from the site, and then added new clay to them so that the original vessel shape is upheld and in this case even the décor. The reconstructed vessel from Alvastra pile dwelling (FID508145). Detail of the reconstructed vessel from Alvastra pile dwelling (FID508145). The reconstructed vessels are of value not only for their inherent beauty but they are also helpful when trying to understand the finished product of which you only have minute fragments.